BambooMoves Yoga is a welcoming community for people of all backgrounds to train their body, mind, and spirit in a nurturing yet challenging practice. Our sanctuary is located in the heart of Englewood, Bergen County, New Jersey and serves as the perfect space to empty your mind, and strengthen your body. Through regular practice Yoga naturally reduces stress and anxiety, and improves your overall well being. We have a wide variety of classes and services including Hypnosis, Specialized Private Sessions, and Monthly Retreats. You deserve to be happy, healthy, and whole so come move your body, mind, and spirit at BambooMoves in Englewood, NJ. Abiding by yogic ethical principles (yamas & niyamas), we conduct our business, teachings, and classes based on the principles espoused in Patañjali’s Yoga Sutras. Honoring the ancient teachings of yoga, BambooMoves inspires the body, transcends the mind, and uplifts the spirit. We believe that everyone can experience more peace and happiness – one smile, one breath, one move at a time. Our classes are for students of all levels from first time yogis to life long practitioners. Each studio serves as a community center and sanctuary offering nutritional programs, workshops, selfless service, and healing. This multi-level class includes flowing sequences, hands-on assists, relaxation and meditation. 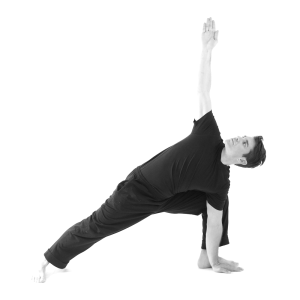 Posture variations will be provided for all levels of practice, but descriptions are less detailed (75 – 90 minutes). This class is a practical introduction to the yoga practice. Join us for a slow Vinyasa sequence that includes the essentials but is a bit more vigorous than the gentle warrior. New students are welcome. Stretch out and enjoy a gently paced contemplative class that instills comfort and strength. This is a perfect class for new students of any age, yogis who are returning to the mat after a period of absence, and pregnant women. This is a restorative class ideal for rejuvenating the body physically and emotionally. This class includes breathing exercises, gentle and supported postures using bolsters, pillows, blocks and/or blankets, relaxation, and meditation. Kundalini yoga is known as the yoga of awareness. Its practice will help deepen the connection to the divine self and the infinite. Using asanas, dynamic breathing techniques, mantras, and meditation we help strengthen and fine tune our inner landscape so we can elevate ourselves to reach a higher conscious state of harmony with all of our experiences. The class integrates postures, breathing exercises, relaxation, and meditation to stretch, strengthen, and condition. After the class you are welcome to stay for a short meditation session from 7:15 am to 7:35 am. Energetic Flow is the perfect class to attend if you would like to try a flow class, or flow a little bit slower than in vinyasa. Standing poses and sun salutations are emphasized. You will slowly develop heat focus and strength. Vinyasa is a practice of dynamic, flowing sequences that are designed to increase strength, flexibility, endurance and focus. It is an energetic practice that creates heat in the body. Some pose knowledge is helpful, but all are welcome. This class will include more intermediate and advanced postures and variations such as arm balances, inversions, and backbends. These classes are a time to play with your practice, increase strength and flexibility, and discover new ways to move your body and mind (previously known as Level II/III Classes). If you’re late please wait until meditation has concluded before entering the classroom. Arrive no later than 5 minutes after class has begun. Try to keep your voice low in the reception area as there may be private sessions or classes in progress. Classes are at least 75- 90 minutes, unless otherwise noted on the schedule. Please make arrangements to attend the entire class and avoid leaving early if possible. New students are welcome in all classes. Try to avoid drinking water during the yoga classes. Drinking in the middle of class can be a distraction from your practice and changes the direction of the Prana (life-force) that you’re moving upward. Drinking water during class can also cause nausea. Our studio is committed to a space that is free of discrimination and judgement, and encourages support and respect. Do not harm; do not steal; do not lie; be modest; do not be greedy; be clean in thoughts, words, and deeds; be content; work hard and be disciplined; study the higher Self; and dedicate your efforts to the Divine. BambooMoves customized services are available at the privacy of your home, or on-site. Refine your yoga practice by taking advantage of our specialized services. If you’re beginning your yoga practice or wish to deepen and refine your practice, consider private sessions. Receive personal guidance tailored to the needs of your own body. Available in home and in studio. Energy healing is a technique for restoring, circulating and balancing your natural life-force energy. It is a method for improving your sense of well-being on the physical, mental, emotional and spiritual levels. Simply performed, direct applications of qi (energy) are administered in addition to massage techniques that enable greater energy flow and bodily healing. Acupuncture is one of the oldest most commonly used forms of medicine in the world. According to TCM (Traditional Chinese Medicine), your overall health is determined by the quality of energy flow through the natural pathways of your body. Acupuncture uses variety of techniques, including placing very thin needles into specific points of the body to stimulate and improve your Qi (energy) flow. Human beings are complex bioelectric systems. Energy circulates throughout the body along well defined pathways, if this circulation is disrupted the result is pain and illness. The many benefits of acupuncture include: pain reduction, stress , tension relief, increased energy levels, stronger digestion, relief from bad habits & addictions, and boosts your immune system. Gilda Perez, L.Ac. ( Board certified Licensed Acupuncturist), MD (in the Dominican Republic), approaches health care with a holistic philosophy, with her experience in Western and Eastern medicine. Understanding the oneness and complementary approach of both modalities embraces health care utilizing the most helpful approaches and techniques. Her primary goal in treatment is to promote balance and to strengthen the body and mind, so they are better equipped to heal themselves. What is Astrology Reiki Healing? Reiki is a Japanese energy technique for stress reduction and relaxation that also enhances and promotes healing. Reiki is administered by “laying of the hands” or with the hands placed above the body at specific locations. Reiki healing invloves the transfer and balance of energy and is used to assist and support the body’s own healing mechanisms. Astrology is the connection between the universe and man- a reflection of the human experince as portrayed through the planets, houses and signs. Astrology can unlock your mind and spirit to new possibilities and untapped resources you already possess. Elaine is an inuitive healer, reiki master and ordained minister who has studied mind-body and the effects on the emotions since 1995. She graduated with a Masters in Counseling Psychology, specializing in Bereavement Counseling from New York University and became a Reiki Master/Teacher and Theta Healer in 2008. She received her ordination as a minister in 2017. What is Elaine’s typical process? Elaine combines her unique knowledge of astrology and the planetary effects on the body, mind, and spirit, with Reiki healing to align the Whole-Self and identify and clear blockages on the physical, mental, and spiritual level. Who seeks out Astrology Reiki Healing Sessions? The Road to Yoga teacher training program was designed for those yoga practitioners who are looking for a roadmap that guides them into the heart of this practice with a practical and contemporary approach. This program entails a transformational journey for the body and mind. By following the path of traditional Hatha-Raja Yoga, which includes the eight limbs that guides the practitioner to eventually reach the goal of yoga at his/her own time. This roadmap will take the trainee from the physical aspects to the spiritual aspects of this practice, expanding on all basic yoga practices and techniques. Would you like to deepen your practice? Or are you interested in launching a career as a yoga teacher? Well, this is your chance to embark on a transformational journey that will change your life forever! Training is APRIL 7th thru AUGUST 27th. Sessions begin every Friday evening at 6pm and end on Sunday at 2:00pm. Weekly evening meetings will take place from 6-9pm at your local studio. The Road to Yoga teacher training program will take place at the beautiful Himalayan Institute in Honesdale, PA. Early reservation is suggested due to limited space available. *Tuition includes teaching manual, accommodations, meals, and course. Does not include additional textbooks required. 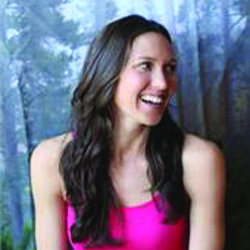 Stephanie Miller, 500 hour Experienced Registered Yoga Teacher (ERYT). 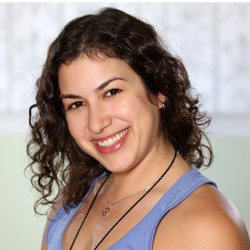 Stephanie is the director of the BambooMoves Advanced Yoga Practitioner and Continuing Education Programs. She is currently the owner of BambooMoves Yoga in Englewood, NJ where she teaches group classes and specialized private sessions. Stephanie’s teaching style guides you from your periphery, the body, to the center of your being. Monica is the owner of BambooMoves Baltimore. She began her journey with BambooMoves 6 years ago working as Englewood’s Studio Manager and eventually became a 200 hour certified yoga instructor through the BambooMoves Teacher Training. 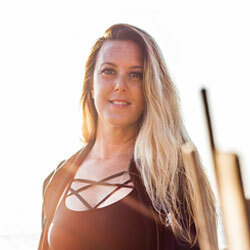 Monica has changed physically, emotionally, and spiritually as a result of her disciplined practice and wishes to bring the same life changing overall wellness to her students in Baltimore. Tara has been working in the spa and wellness industry for almost 20 years. In 2006, she had the amazing opportunity of being trained by the largest spa company in the world, Steiner Training Academy in England, to work in the spa aboard Hawaii’s Norwegian Cruise Line. She graduated from the Institute for Integrative Nutrition in 2009 as a Certified Health Coach and soon after worked for a Holistic Doctor, coaching patients on nutritional detox programs. There, she learned much about holistic healing, energy work, chiropractic care and supplements. She is super passionate about all-things-wellness! Tara is currently the studio manager at BambooMoves Englewood and is in the process of becoming a 200 hour certified instructor through their Advanced Practitioner Training. She also studied at the National Personal Training Institute and received a TRX Suspension Training Certification in 2013.